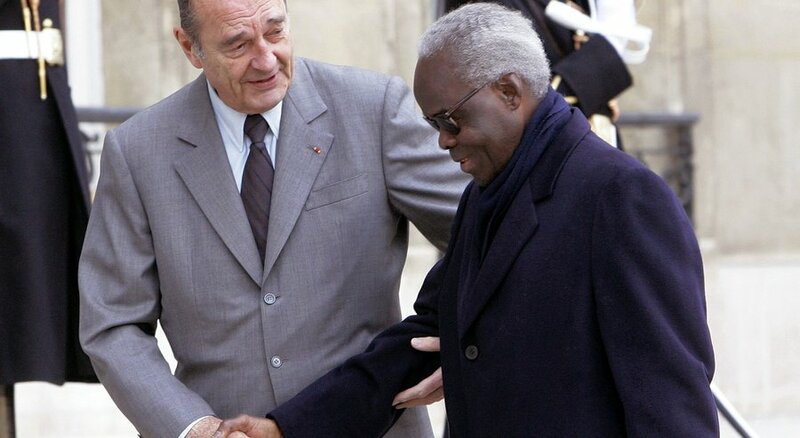 Benin’s former President Mathieu Kerekou, right, being welcomed by French President Jacques Chirac at the Élysée Palace in Paris. BBC Africa is reporting that Benin’s former President Mathieu Kerekou, 82, has died. Kerekou served as president of Benin twice, serving as the country’s leader for nearly 30 years. He was president from 1972 to 1991 and then again from 1996 to 2006. Commonly referred to as “The Father of Democracy,” Kerekou is lauded as the man who aided the introduction of multi-party democracy in Africa. Benin’s poor economic state at the time of the transition coupled with the end of the Cold War contributed to Kerekou’s support of this ideological shift. Following the introduction of the multi-party system, Kerekou lost the next election and stepped down gracefully from his presidency. Kerekou’s admittance of defeat allowed for a peaceful transfer of power, showing the people of Benin that a change of president could be achieved without violence. Benin’s current president Boni Yayi announced on Wednesday that there would be seven days of national mourning for the former president. Kerekou had been ill recently but the exact cause of death has not been disclosed and no date for his funeral has been announced. Born in 1933 in Kourfa, French Dahomey (now Kourfa, Benin) rose to power in 1972 as part of a military coup where he adopted a Marxist-Leninism form of government. In 1990, Kerekou publicly asked for forgiveness from Archbishop of Cotonou, Isidor de Souza, for the actions of his regime during his first presidency. Kerekou also ushered in a new constitution that required a multi-party system of government. In 1991, President Kerekou introduced the multi-party system of government to the country and lost the election. In 1996, Kerekou was elected president again and won a hotly contested re-election in 2001. Due to a two-term limit imposed by the constitution, Kerekou was unable to run again. He was succeeded by current Benin president Yayi Boni. President Kerekou never married or had children. For more information visit BBC Africa. TagsBenin President Mathieu Kerekou President Mathieu Kerekou dies West Africa's "Father of Democracy"